This was one of the quick drawings I did yesterday morning. I have been working on the backs of old watercolor paintings just to use up some of the paper (and because I ran out of large sketchbooks) so the paper was rough and dirty in places. 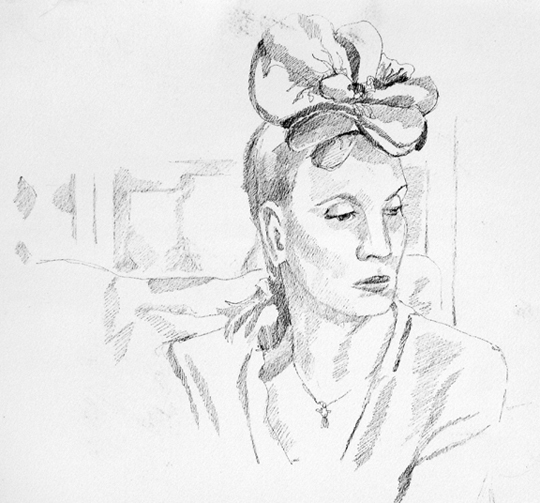 She had a flower hat on which made the sketch kind of interesting.